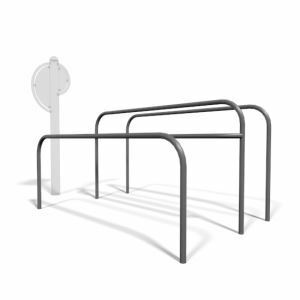 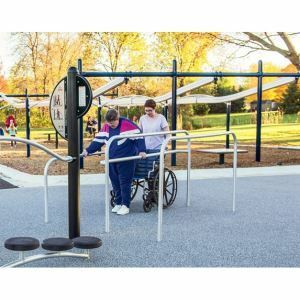 The HealthBeat® Parallel Bars are a wheelchair-accessible station that accommodates beginners and advanced users and well as rehab users. 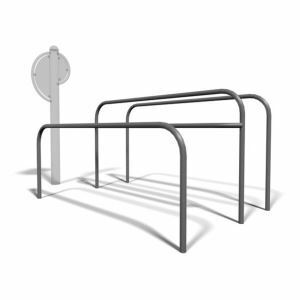 Lower bars great for rehabilitation or use with wheelchairs. 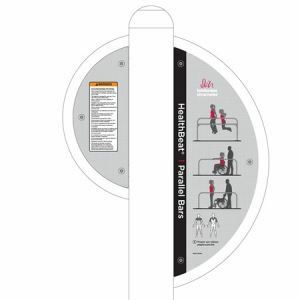 Caregiver can easily walk behind or support user.